What will your wedding bouquet look like? 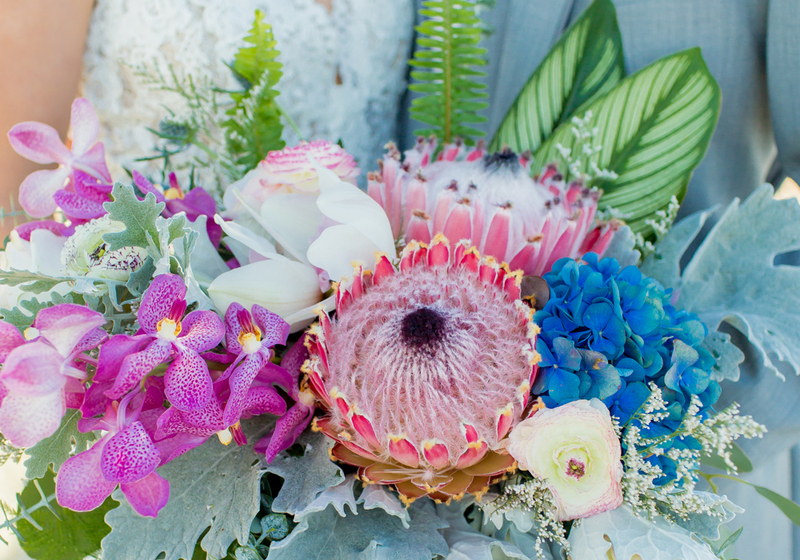 This beautiful eclectic mix of of protea, blue hydrangea and orchids is a definitely a statement piece for a spring or summer wedding by the sea. When choosing your wedding bouquet, consider your floral arrangement as an accessory to help evoke the mood you want to instill for your guests.